Here is day four of my 30 Days 30 Recipes Challenge! As a reminder, these are Weight Watchers recipes. 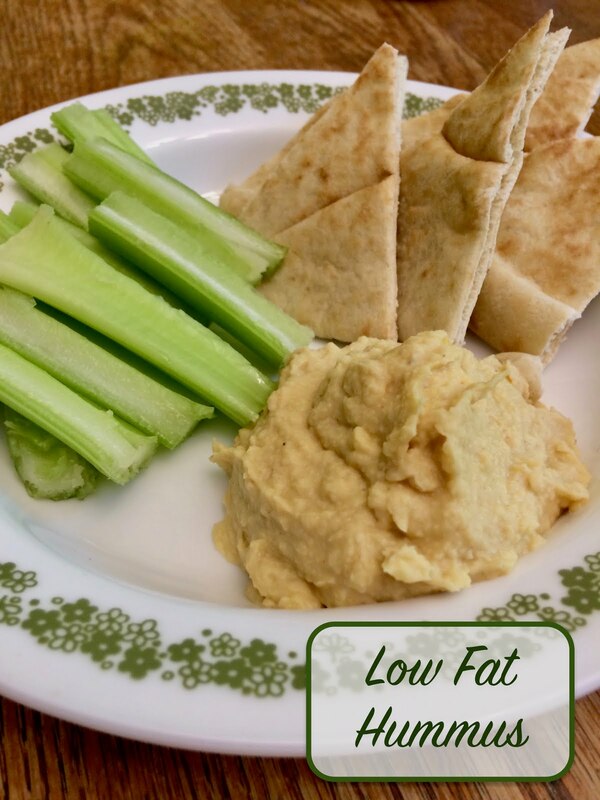 Today I tried out the Low Fat Hummus. I have a hummus that I really like, but it's high in calories and 10 POINTS per serving. And when I'm trying to lose weight, it's not something that makes the menu too often. I figured I'd give this version a try and let you know how it turned out and if it's a good substitute. So the consensus is, at a savings of 8 points per serving this recipe was a very good substitute. It had a super garlicky kick! That could be due to the larger heads of garlic I used. I didn't mind it at all. It gave the hummus a nice bite. My daughter, however, found the garlic far too "spicy". In the future, I'd add one less clove of garlic. Also, I would add toasted sesame seeds. Instead of the two tablespoons in my other recipe, I would cut it down to one. At 52 additional calories for the whole recipe, I feel it would be worth it for the flavor. Overall, though, this recipe is quite good as is.